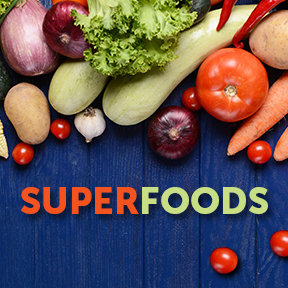 The superfood claim is often cited and not always accurate, as there is no regulatory definition nor set criterion for determining what is and what is not a superfood. The term is often used to describe a highly nutritious or nutrient dense food that can provide a host of science-backed health benefits beyond basic nutrition. As consumers have become more aware of foods that constitute a healthful diet, superfoods, also known as functional foods, have grown in popularity. The global shift to a more plant-based diet is largely fueled by millennials who are more likely to consider food sources, food safety and the issues of animal welfare, as well as the overall environmental footprint of their dietary choices. Most superfoods are plant-based, however, some fish and dairy also make the list. While millennials may be driving the plant-based movement, the shift away from animal products and towards a heathier, more sustainable relationship with food appears to be gaining strength among other generations as well. For those who adhere to an already balanced, colorful and varied diet, the addition of foods that have a very high density can provide substantial amounts of nutrients and very few calories, elevating already healthy diets to a more targeted level of wellness. Rich in phytochemicals, antioxidants, vitamins, minerals, enzymes, amino acids, essential fatty acids and fiber, a superfood’s nutrient composition surpasses the body’s basic nutritional requirements for survival. As the consumer drive for long-term health continues to focus on eating responsibly and sustainably, many expect the largely plant-based dietary trend to continue to steadily rise. Research shows that a healthy lifestyle, that includes diet, regular exercise and healthy sleep, provides multiple life supportive health benefits, while reducing the risk of certain chronic health conditions. Kaiser Permanente, the largest healthcare organization in the U.S., and the American Institute for Cancer Research both recommend a plant-centric diet to combat heart disease, chronic inflammation, diabetes and other preventable health conditions. Berries: While acai and goji berries have gained fame as superfoods, widely available and often less expensive blueberries, strawberries, raspberries and blackberries also provide a rich cache of disease-fighting phytochemicals, including anti-inflammatory compounds, such as anthocyanins, procyanadins, and ellagitannins. Numerous studies suggest that eating berries may lower the risk of developing certain cancers, cardiovascular disease, diabetes and age-related cognitive decline. Fatty fish: Fish such as salmon, herring, tuna, rainbow trout and mackerel are rich in unsaturated omega-3 fatty acids, which have been linked to a lowered risk of heart disease, high blood pressure and atherosclerosis. Evidence suggests that omega-3’s help protect against neurodegenerative Parkinson’s and Alzheimer’s diseases, as well as arthritis, depression and type 2 diabetes. Quinoa: Quinoa provides high quality, gluten-free protein, including all nine essential amino acids, as well as fiber, B vitamins and minerals, such as magnesium, zinc, manganese, potassium, phosphorus and iron. Quinoa provides antioxidants known as flavonoids, believed to fight aging and many chronic diseases. As well, low-glycemic quinoa may improve metabolic health by supporting healthy blood sugar, insulin and triglyceride levels. Cruciferous vegetables: Sulfur-rich cruciferous vegetables, such as Brussels sprouts, broccoli, cabbage, cauliflower, kale, radishes and turnips, are great sources of fiber, as well as synergistic vitamins and cancer-fighting phytochemicals, including indoles, thiocyanates and nitriles. Whole grains: Whole grains are a great source of soluble and insoluble fiber, as well as B vitamins, minerals and phytonutrients. Whole grains, such as steel cut oats, bulgur wheat and brown rice, have been shown to support healthy cholesterol levels and protect against heart disease and diabetes. Leafy greens: Nutritious leafy greens, such as kale, spinach and collards, are low in calories and high in fiber, vitamins, minerals and phytonutrients that support cardiovascular health and cognitive function. Eating just one half cup of chlorophyll-rich greens daily can help to prevent nutrient deficiencies and serious illness. Avocados: High in monounsaturated fats and vitamins E and B6, avocados promote skin health, protect tissues from free radical damage and support healthy cholesterol levels, energy production and red blood cell formation. PaleoGreens® Powder by Designs for Health®: This unflavored, unsweetened powdered formula provides a healthy blend of vegetables, fruits and berries. Ingredients are harvested at the peak of potency, then immediately concentrated and dried, to preserve the energetic and nutritional integrity of the natural enzymes and beneficial phytonutrients. Gluten free, Non-GMO, 93% organic ingredients. Power Greens® Berry by NuMedica®: This easy mixing, great tasting, energizing phytonutrient powdered formula provides certified organic whole food plant extracts, natural vitamins, ionic trace minerals, plant enzymes, fiber, antioxidants and probiotics in support of maximum energy metabolism, fat burning, digestion, detoxification, immunity, repair, recovery, revitalization and longevity. Natural flavors. Free of milk, eggs, fish, shellfish, tree nuts, peanuts, wheat, artificial colors, sweeteners and preservatives. Vegetarian formulation. Contains soy. Green SuperFood® Berry by Amazing Grass®: This powerful blend provides nutritious greens, phytonutrient-rich fruits, vegetables, cereal grasses, digestive enzymes, fiber and probiotics. In support of overall wellness, Green SuperFood® Berry contains many organic ingredients, including acai and goji berries. Natural organic flavors. Kosher, Non-GMO vegan formulation. NewGreens™ Berry by Iagen Naturals: Perfect for those on-the-go or those with insufficient daily intake of fruits and vegetables, this superfood formula provides an antioxidant-rich divine berry blend, an energizing herbal blend, a power veggie blend, a gentle fiber blend and a healing enzyme blend in support of daily nutrition. Natural berry flavors. Gluten, soy, sugar, dairy and artificial ingredient free, vegan formulation. Field of Greens® by Vibrant Health®: This purely green food energizing formula provides domestically-sourced, nutrient-rich, raw, freeze dried, certified organic, kosher cereal grasses, leafy greens and botanicals in support of good nutrition and overall wellness. Free of gluten, dairy and soy. Non-GMO, kosher, vegan formulation.